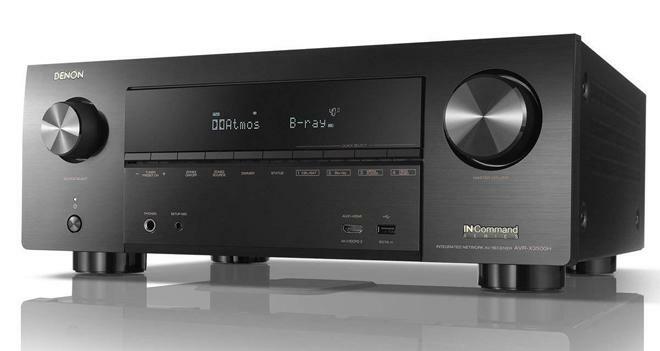 The company's latest receiver is now available along with an update for AirPlay 2 support. Denon has announced the release of its newest X-Series receiver. The AVR-X3500H is now available for an MSRP of $999. In addition, Denon has also launched a firmware update for Apple AirPlay 2 compatibility on select receivers, including the AVR-X3500H. "Denon consumers are on the technological forefront. They turn to us to ensure they have the latest and greatest features in their AVRs to stay in sync with industry trends, formats and content," said Yoshinori Yamada, technical category director for audio and video at Sound United. "The AVR-X3500H does not deter from this path. Our classic discrete power amplifier design paired with custom-made high current transistors on all channels, compatibility with nearly every advanced AV format, and the added benefit of Amazon Alexa and Apple AirPlay 2 really drive home our dedication to delivering the best home theater experience possible." Meanwhile, Denon has also launched Apple AirPlay 2 support for select devices through a new firmware update, including the AVR-X3500H. Apple AirPlay 2 allows users to stream audio from Apple Music, YouTube, Netflix, and more via any iPhone, iPad, Mac or Apple TV to a supported receiver. Likewise, the tech also offers Siri voice control via iPhone/iPad/Mac/Apple TV/HomePod to play Apple Music in a specific room or throughout the house. In addition, users can group Apple AirPlay 2 devices with Apple Music or the Apple Home App for multi-room control. 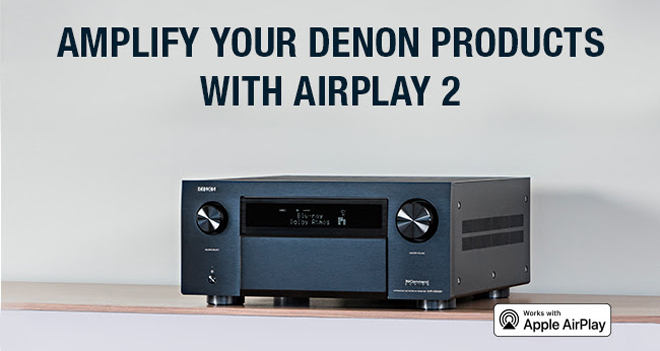 CLICK HERE for a full list of AirPlay 2 compatible Denon, Marantz, and HEOS products.